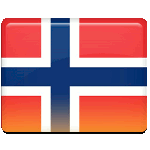 Constitution Day is the national day of Norway. It is observed on May 17 because the Norwegian Constitution was signed on May 17, 1814. The constitution declared Norway's independence. In 1814, Denmark–Norway was defeated in the Napoleonic Wars. Norway declared its independence in order to avoid being ceded to Sweden (ironically, it entered into a union with Sweden later that year). The first celebrations of Norwegian Constitution Day were spontaneous. For some years during the 1820s the holiday was actually banned because it was believed to threaten the union. In 1829, King Charles XIV John allowed to celebrate Constitution Day, but the first official celebration was held in 1833. After the dissolution of the union, the holiday also began to honor the Norwegian Royal Family. While in many countries it is customary to hold military parades on the national day, Constitution Day in Norway is noted for its children's parades. The first parade was held in Oslo (then called Christiania) in 1864. At the time only boys could participate. Girls first joined the parade in 1899. Military parades are also held, although they are not the focus of the celebration. The Royal Guard parade takes place on the main street of Oslo. On this day, Norwegian high schools students in their final year have their own celebration known as russefeiring. Constitution Day is an official flag flying day in Norway. The state flag is to be flown by state and government agencies. Civilians are also encouraged to display the flag of Norway on the occasion.